Our Marianist vision and mission help students develop critical minds and compassionate hearts.We are people of faith. Our mission is to lead others through community to faith in Jesus Christ. We model our discipleship after Mary. We believe that living, praying and supporting one another in community enriches our faith and strengthens our ability to meet the challenges of the world.At the University of Dayton, students understand that they are called on to use their education and faith to transform the world. Our identity is a call to action guided by knowledge and faith.Our faith has created an open community whose members believe in the power of asking the big questions. Have a question of your own you'd like to ask us? We'd love to hear from you. Big Four accounting firm EY is partnering with the University of Dayton to prepare students for the corporate world and provide them internship opportunities. How do you find a college that is the right fit for you? Current students talk about why they chose the University of Dayton. Take a look at the University of Dayton School of Law's Government Contracting Master's program and how it can jump-start your career. 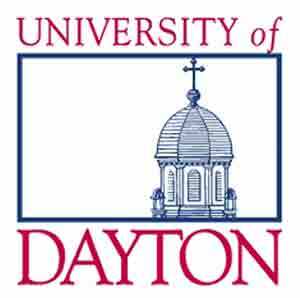 The University of Dayton continutes to innovate and show why we always put our students first! Come join our community and find out for yourself! Check out this beautiful campus that you could call home! St. Marys Hall Rm. 108.